Garbage Disposal Giving You Trouble? Call the Experts at Jeffrey Gray Plumbing (707) 646-1356. Save even more on your next service with our online discounts and coupons! Few appliances in the kitchen get as much hard use (and abuse) as a garbage disposal. This is an essential tool in the kitchen and you realize just how important it is when it stops working. If you are experiencing a problem with your disposal, there are a few things you can do before calling for repair. First of all check and see if the power has tripped. There is a reset button on the underside of the disposal. Most of the time resetting the unit takes care of the problem. 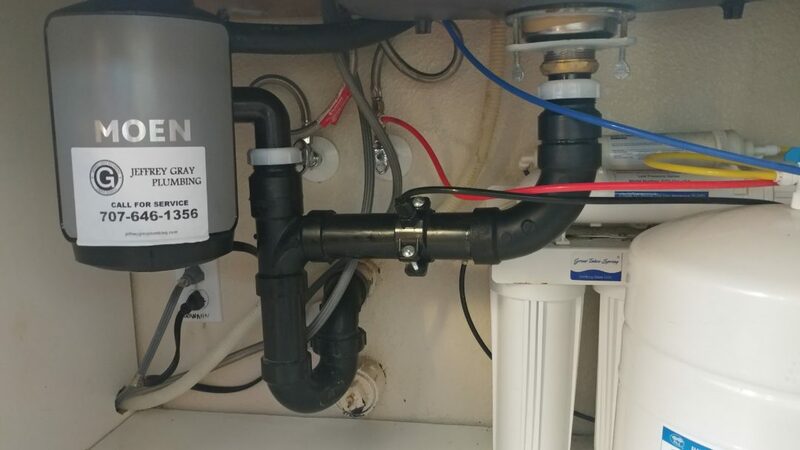 Both your dishwasher and garbage disposal share a connection, so if you are having problems with the plumbing related to the disposal, it is probably going to also affect your dishwasher as well. Have a plumbing problem that needs to be addressed immediately or need the services of a professional Fairfield, CA contractor you can count on? Contact Jeffrey Gray Plumbing today at (707) 646-1356.